June 27, 2013, 11:17 a.m.
Portland’s Oregonian is up next in the newspaper chain’s cut-print-days-and-newsroom-staff strategy. But does it make sense — and can its leaders execute the plan? By Ken Doctor @kdoctor June 27, 2013, 11:17 a.m.
Another city. Another melange of limited information, confused storytelling, and an unsuccessful attempt to put on a happy face to mask a huge change in newspapering and civic life. 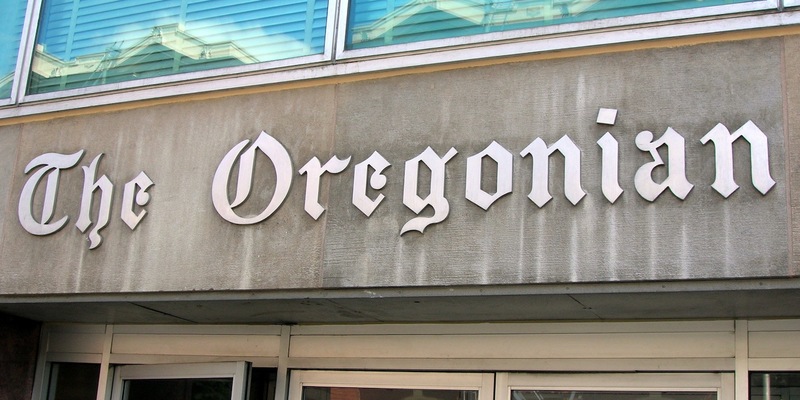 Last week, Oregon’s dominant paper, The Oregonian, followed in the footsteps of other Advance papers and announced it would be delivering to homes only four days a week come fall. It will be greatly slimming down staff, including dozens in the newsrooms, formally going digital-first, reorganizing into two companies, and producing newsstand editions on the days it won’t home deliver. It’s Advance’s Slim-Fast, Phase 2, tweaked after its torturous New Orleans rollout last year (“The newsonomics of Advance’s New Orleans strategy”). That’s the new Advance playbook, as the company — a top 10 newspaper company by revenue in the U.S. — proceeds with a revolutionary restructuring of the local news business. It’s a play that serves at this point as a contrarian example. Most publishers believe the Newhouse family, owners of the very private Advance, is downsizing its own business, and about to give away the local market dominance in readership and commerce monopoly regional dailies have long had in the United States. Within Advance, you hear that its strategy isn’t just on plan — it’s ahead of it. How do we put together what’s really happening and figure out what to make of it? It’s not easy. Working with sources up and down in Advance cities is one way, gathering lots of partial views. While top editors are willing to talk, Advance’s business leaders are mum. That’s just silly: Newspapers have a special responsibility to the public, one that although further tested by Advance’s new strategy, is universal. Newspapers are citizens of their community — leading ones, we’d hope — and clamming up about changes of this significance is contrary to the values of the trade. Just as curiously, Advance isn’t sharing much with its peers in the industry. If Advance has really developed the new secret sauce, why not share it with other newspaper publishers nationally and globally? After all, they’re not the competition. Yet Advance’s omerta-light DNA is a sideshow here. What we care about is the Advance strategy and what it means to the readers, to the journalists, and to the business of news going forward. So let’s look at the updated newsonomics of the Advance strategy, Phase 2, as it rolls out in Portland in October, two months after Cleveland’s Plain Dealer takes the same plunge. Let’s look the strategy — which has a fair amount of smarts built into it — and its challenges, pitfalls and, likely, its Achilles’ heel. As a strategy, think shock therapy and you’d be close. For decades, the Advance papers had been the epitome of corporate paternalism. The no-layoff pledge, generous health benefits, and good salaries all said job-for-life. Advance’s separation of its local digital sites (OregonLive.com in Portland, for instance) from the newsroom — literally 10 blocks away and reporting to corporate, not the publisher or editor — greatly hampered a singular reader focus. As other companies struggled mightily with the digital transition, the huge staffs of the Advance dailies found themselves too often sitting on the sidelines. Individual editors, with great variability, tried to innovate. Overall, though, Advance dailies were falling behind the peers in trying to meet the digital revolution. After years of waiting, waiting, and waiting, the company is now in a mad rush to change. When it came time to acknowledge basic truths about newspapering, Advance management reached for the hand grenade rather than the scalpel. Reading the same tea leaves of print decline as their brethren, they decided that blowing up the enterprise (reassembling it in two pieces) and downsizing their operations, their home delivery, and their community service was the answer. Their analysis, curiously, parallels that of iconoclast John Paton, the mastermind behind Digital First Media, as Journal Register and now MediaNews properties experience their own more evolutionary revolution. The in-common belief: As print ad revenues show accelerated decline, companies must greatly reduce their legacy costs and concentrate on the digital future. In fact, Paton has somewhat endorsed Advance’s efforts. While the experiments began in Michigan in 2009, it was the the New Orleans Times-Picayune downsizing that riveted public and industry attention. In fact, 60 Minutes, which had sought the one moment for years to finally talk about the decline of the U.S. press, used the Times-Picayune’s réduction des effectifs as Exhibit A. Everyone acknowledges that Advance publicly handled the New Orleans changeover as poorly as it could. Marketing. Messaging. Engagement. All subpar. The T-P seemed to be at odds with the community that went into the streets to demand its very pulp-based existence. The community’s clamor for a seven-day paper went unheeded — until Monday, when the street edition of The Times-Picayune hit pavement, in 60 glorious tab pages. The New Orleans paper had borrowed a page from its northern cousin, the Post-Standard, which cut back home delivery Feb. 1, publishing a print edition even on days that it no longer offered home delivery. The changeover, Phase 2. Massively cut expenses: At The Oregonian, about a sixth of the 650 staffers will lose their jobs. At Syracuse, the number was closer to 30 percent of about 400. Overall, I’ve extrapolated that Advance is aiming for an about 25 percent expense reduction (mainly in staff, printing, and distribution); I’ve been told that is close to the mark. Separate out the old business from the new: In all its restructured cities, two separate companies have emerged to replace the old print. In Portland, it’s the Oregonian Media Group (yes, the already much-satirized OMG) that will now employ the content and sales people. As I’ve argued over the years, it is content and sales, quite simply, that are the foundation of the new business. The Advance strategy recognizes that and takes it to an operational level. The other new company Advance Central Services Oregon houses “support” of OMG. So it’s mainly made up of the print-oriented parts of the business — production, printing and distribution — along with HR, finance, and technology. Provide seven-day print, but not home delivery: In New Orleans, and at Advance’s two Alabama dailies, the end of seven-day print was cold-turkey. One day: seven days a week of print; after the changeover, only three days. Then, Advance learned something from the Syracuse model. Pushed to continue (at least for a while) the semblance of seven-day print, the Post-Standard found that a by-product of daily print — the durable, seemingly vestigial e-edition — achieved a market purpose. Today in Syracuse, with a daily circulation of about 75,000, about one in ten readers downloads that daily e-edition. E-editions have been around for 15 years; essentially, they’re replicas of the final edition of the printed paper, ones that can be updated during the next day, but often aren’t. Why would anyone want to read a static copy of yesterday’s news? Think older readers. They own computers, but are more comfortable with the format of the newspaper they’ve read for decades. This is an interim market, to be sure, but serving it is a subscriber retention must. To publish an e-edition, you need a print edition. If, like the Oregonian, you’re making substantial revenue printing other publishers’ papers, adding a short run of single-copy papers can be done very cheaply. Hence, single copy editions. In Portland, there will be four days of home delivery. The Wednesday, Friday, and Sunday editions are clearly full papers. The content emphasis of a Saturday paper — first called a “bonus” in its announcement — is still taking shape, says Bhatia. Consistent with Advance’s marketing and messaging faux pas, it has also named its daily e-edition, “My Digital O,” to the guffaws of many. Talk about service journalism. This single-copy story may get more interesting. Whereas Syracuse has stuck to a 16-page edition, with a single ad — to facilitate that e-edition — New Orleans’ TP Street debuted with 60 pages and a good run of ads, adding three to its print team to produce it. Both cities’ papers are delivered to hundreds of newsstands. An ironic question: What would Advance have to charge to restart seven-day home delivery, coming full-circle in its digital-first, cost-cutting exercise? Keep digital access free — at least for now: Most puzzling in Advance’s strategy is its reliance on advertising, which continues to go south for the whole industry — including Advance. As more than 500 dailies in the U.S. move to charging for digital access, including all of Advance’s peer chains, Advance eschews paywalls. Why? Well, given the tight lips, we’re not sure. The lack of an All-Access model, I believe, looks like the Achilles heel of the Advance strategy, even if that strategy works in other ways. Why? Advance depends and will depend much more on ad revenue than its peers. Many of those peers believe that reader revenue may reach 50 percent of total revenue within two to five years. They believe that print advertising’s fade looks near-irreversible. Further, they’ve learned that the sharp growth curve upward in digital ad revenue has hit a wall. Some struggle for growth at all; most are in single-digits, well below the 15 percent growth of digital ad revenue overall. Sure, The Oregonian, The Post-Standard, or The Harrisburg Patriot-News could institute a paywall. It would likely, though, yield much less than it could have. Getting the order of things right on a paywall is important: Much better to improve the seven-day print product, add usable mobile apps, and then price up, even if you have a mind to cut home delivery. That way, you’ve established a new, higher price — and the monetary value of digital. Instead, Advance maintains what now seems like a nonsensical approach to paid print and free digital, and that bodes ill for holding on to current print subscribers, much less convincing many people to pay much for all-access down the road. If other publishers believes half of their 2016 revenue will come from digitally oriented readers, how will Advance newspapers deal with the lack of that revenue? It will have two major choices: find currently unknown large sources of revenue — or keep cutting expenses, including newsroom staff. Stand back from this audacious strategy — with all its staff-cutting pain, its inducing of reader pain, and the promise of its digital-first, future-is-now thinking — and it’s hard to get past the point of its missing digital reader revenue strategy. That said, Advance’s more immediate bet is that it can radically reduce its costs and maintain its dominating presence in local news and commerce. It’s too early to assess the local advertising challenge. It’s a hyper-competitive marketplace, and Advance seems to succeeded in corralling seven-day advertisers into three days. (I’d projected it would hold on to 85 percent of its print advertising revenue in New Orleans; the number appears to be closer to 90 percent.) It still faces, though, a fast-declining (high single digits loss in metro markets) print market. Further, its ability innovate fast enough in the digital ad marketplace is unproven. As one observer put it to me today, does the new Oregonian plan to make its future on display banner ads? I’m sure execs would answer that no. But its work in newer forms of digital advertising, from content marketing to marketing services to a major video presence, all seem relatively nascent. Is it ready for prime time as a digital-heavy company? Not yet, certainly, and the clock shows two more big Advance dailies going digital-first within 90 days or so. As it fights for digital ad revenue, it faces many competitors from Google and Facebook nationally to lots of local players. In news impact, so far, there is mixed evidence. Observers in both New Orleans and Syracuse tell me it is a crazy-quilt. Yes, with time-stamping on the website, more stories and posts are being pumped out of the newsroom. The new operations break their share of news, and some second-day stories do a great job of summing up major news events. Sometimes, though — more than they used to — both papers drop the ball on breaking news. Other news players, from NewsChannel 9 WSYR in Syracuse to The Lens and the just-launched Baton Rouge Advocate’s greatly energized New Orleans play (“The New Orleans Advocate”), are competing more consistently. The Advance papers are still the biggest dog in town, but the dog park is now more diverse. Come fall, The Plain Dealer and The Oregonian will wake up to find their traditional alpha status more challenged day by day. Times-Picayune editor Jim Amoss believes he is already seeing the dividends from the wrenching change the newsroom has seen. His staff is thinking news, not the next day’s paper. Digital audience has grown, as we would expect given the print stoppage. Overall pageviews are up 15 percent, and “eyes on content” — meaning views of articles, videos, and photos across the site — are up 35 percent. A significant part of that is huge photo growth, up 150 percent year over year; photos represent 16 percent of the site’s traffic. With the changeover, editors and ad directors have more direction of their own digital presentations and business. Advance Digital, to whom the separate sites used to report, still provides digital product development, sales strategy, news and information content product development, and centralized technology for the digital products. 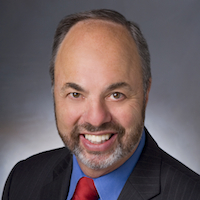 Oregonian editor Peter Bhatia echoed Amoss’ newsgathering point to me this week: The Oregonian newsroom today has about 90 reporters and will have about the same in the fall. The newsroom cutting has fallen disproportionately in middle editor and copy editing ranks in all the Advance cities, a strategy well-employed by others over, including the Star Tribune, over the past several years in making cuts. The big questions, of course, are who those reporters are, how much experience they have and what beats they cover. In any newsroom restructuring, newsroom managers can use the opportunity to make changes they long wanted to make, but found inconvenient. In this great shuffle, some areas, like environmental beat experience, have been wiped out at the Oregonian. Further digital skills may have trumped journalistic skills in such Sophie’s Choice decision-making. Finally, The Oregonian — as keenly aware of its newsroom dollar budget as of its actual headcount — cut many high-salaried people, as well as some younger staffers, weighing, I’m sure, one more factor: exposure to age discrimination suits, as any employer in such a situation would do. All of that change means The Oregonian, come fall, will find new areas in which to excel — and will leave its flanks more open to competition. In Portland, there’s a lot of it. Pulitzer Prize-winning Willamette Week provides city-smart, well-established news coverage. Oregon Public Broadcasting has been adding coverage area after coverage area. Add in a strong TV news presence and several niche print players, and The Oregonian may find what its sister papers in New Orleans and Syracuse have found: breaking news and analysis becomes more of a multi-horse race. It’s not just news-gathering and writing that matters on the web, of course. A digital-first news operation should be the go-to news aggregator for the region; The Oregonian isn’t. It should have the best tablet and smartphone apps — news and entertainment — and its offerings so far are nothing special, open to competition. It could leverage community, user-generated content far better, borrowing a page from its Northwest neighbor, The Seattle Times, but hasn’t moved in that direction. Broadly, let’s say the strategy — at least parts of it — may be right. Then the question becomes: Is the Oregonian ready to execute on it? There’s little doubt that most of Advance’s employees — whose work will make or break the strategy — have little confidence in the “the plan.” It’s paternalism gone awry, and the sense of abandonment is clear. The lurch in strategy is offering little comfort, as Advance and its publisher largely keep the staff in the dark about how the new business is going to create successful products and long-term employment. What Advance has done is buy some time. In radically cutting its cost base, it may have given itself a couple of extra years to get its new strategy right. It will need that time, at least, to work the prodigious to-do list it has handed itself. Photo by Josh Bancroft used under a Creative Commons license. POSTED June 27, 2013, 11:17 a.m. Doctor, Ken. "The newsonomics of Advance’s advancing strategy and its Achilles’ heel." Nieman Journalism Lab. Nieman Foundation for Journalism at Harvard, 27 Jun. 2013. Web. 18 Apr. 2019. Doctor, Ken. "The newsonomics of Advance’s advancing strategy and its Achilles’ heel." Nieman Journalism Lab. Last modified June 27, 2013. Accessed April 18, 2019. https://www.niemanlab.org/2013/06/the-newsonomics-of-advances-advancing-strategy-and-its-achilles-heel/.